So, normally when I do these posts, I'm pitting two books with similar covers but no relationship to each other. This time, we're taking a look at two different "outfits" by the same book. 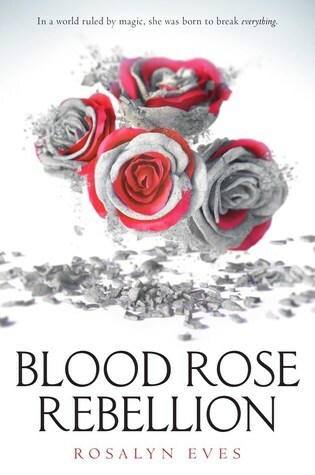 If you hadn't realized (as I hadn't until recently), Blood Rose Rebellion has a new look. It's early style was a striking blue/cyan background accessorized with contrasting deep red and hints of black and gray. The new look is clean and stark, the same accessories paired with a white/gray background. Guys, I'm torn. On one hand, the original brings a pop of color that catches the eye, and the complementary red and blue capitalize on color theory to really make this novel stand out. On the other hand, the white cover has a sleek minimalism that screams modern chic. On the other other hand, white covers are much more common than their blue cousins, at least such a vibrant blue. After much deliberation, I'm going to have to go with the redesign. The more I look at them paired, the more I'm struck by how classy the new cover looks, by which comparison the old cover looks like a Photoshop mask that never got cleared off in editing. 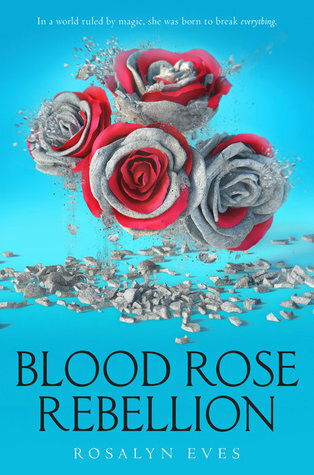 It also lets the red stand out boldly, while the lack of any other red in the blue cover makes the roses look like they're ungrounded. Which cover wins? Are there similar covers you think did it better? Which cover wore it better? I agree with you that the blue cover seems more unedited and photoshopped, but then on the other hand, I can't take my eyes away from it. I think because it is that nice shade of blue, it is eye catching. So tough. When I first saw this I thought "how is that a redesign? It's the exact same cover." I don't know, I'm super excited for this book and I just don't love either of these. I think my eye is initially drawn to the one with the blue background but you're right, it looks a little unfinished and simple almost. I would have liked something in between. Like a sky blue that allows for the color to pop and is a little more subdued. Hm, yeah, maybe it's just the shade. I'm still not convinced it wouldn't have worked out okay in 3D. Sometimes even really good covers don't look the same online.